When Cornelius Roy opened the doors to Vegan Friendly Foods right before Thanksgiving, he never imagined he’d receive so much business in less than a month of operating. Before the restaurant’s official grand opening, Vegan Friendly Foods had already served more than 600 customers. Word of a new vegan restaurant spread like wildfire. Locals flooded social media with posts of the restaurant’s fruit smoothies and steaming, vegan-friendly plates of soul food. Vegetarian and vegan diners couldn’t wait to get their hands on vegan-friendly takes on Southern dishes like jambalaya and gumbo. These are the types of dishes Roy says he wished he had years ago when he was first transitioning into a vegan diet. In April, Roy and his sister opened Sweet Soul Food, a New Orleans vegan restaurant. He noticed the lack of vegan food options available in Baton Rouge, so the New Orleans native focused his efforts on filling that void in the Capital Region. After parting ways with Sweet Soul Food, Roy opened Vegan Friendly Foods at the former Parsley and Pepper Mediterranean Bistro on Bennington Avenue. Joining him as co-owners are his mother, Evangeline, and brother, Jamon Roy. Hungry customers can find everything from fried cauliflower to vegan-friendly mac and cheese on the menu. The restaurant offers a soul food platter that samples customer favorites like barbecue cauliflower, jambalaya, and red beans and rice. Sides include Southern staples like yams, mashed potatoes and cabbage. This is just the beginning of Roy’s vegan-friendly ventures in Baton Rouge. Vegan Friendly Foods is one of four vegan restaurant concepts Roy has planned, he says. As he continues to focus on and expand Vegan Friendly Foods, he eventually wants to open a vegan-friendly bakery, ice cream parlor and fast food restaurant. His goal is to provide as many vegan options in the food industry as possible. Until then, Roy and his staff will continue developing the menu and adding staff to their team. In the near future, he plans to offer vegan baked goods and ice cream at the shop. 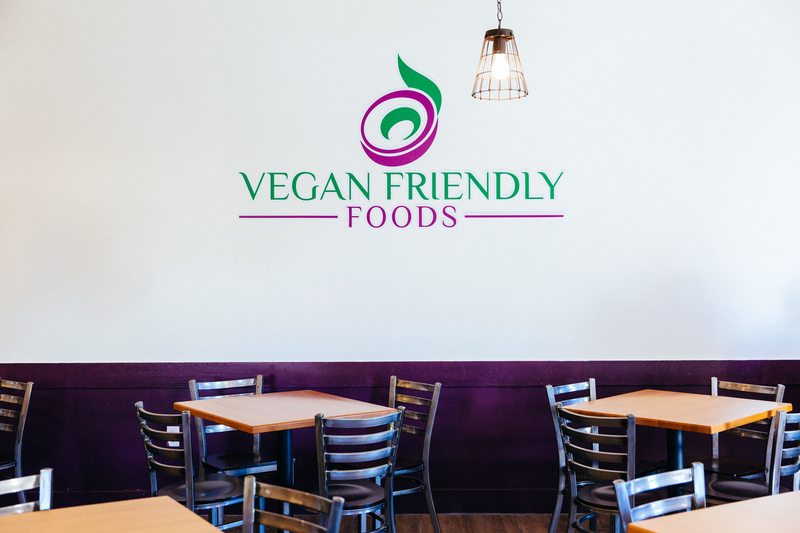 Vegan Friendly Foods is at 4608 Bennington Ave. Its December hours are Tuesday-Sunday, 11 a.m.-8 p.m.